When you get involved in The American Legion, you have the opportunity to get involved in your community. You will have the chance to take part in a variety of community and youth projects. Click here to see what Post 150 is doing in our community. “Get Involved” is the motto of The American Legion, the nation's largest and fastest growing organization of wartime veterans. As a Legionnaire, you will have many opportunities to use your talents to help veterans and others in your community. Here are some of the ways Legionnaires have helped others recently. Membership in The American Legion brings with it special benefits that not only provide protection for your family but also substantial money-saving discounts. As a member, you are eligible to participate in the American Legion Life Insurance Program, which offers three unique life insurance plans designed to meet the needs of Veterans of all ages and their spouses. Click here for more information about insurance benefits. As a member, you will receive The American Legion Magazine, a colorful monthly publication packed full of general-interest features, updates on Veterans benefits, debates on the “big issues” (with views from both sides of the aisle), information on outfit reunions, interviews with top government officials and occasional stories of days gone by. Click here to view the latest issue. Annually, conducts a Memorial Day service at the Sterling Park Veterans Memorial located on the South West corner of Sterling Boulevard and Holly Avenue. Annually, conducts a Motorcycle Poker Run to raise funds to support the Post and it’s Programs. Provides Service Officer's and Chaplain's assistance to members and their families in times of need. Participates in the American Legion Boys State and Girls State Program. Contributes to Veterans Administration services for hospitalized Veterans. Contributes to local chariites such as the Dulles Airport USO, LINK, and the Boulder Crest Retreat for Military and Veteran Wellness. Sponsors Scouts BSA Troop 955. Sponsors Scouts BSA Troop 956. 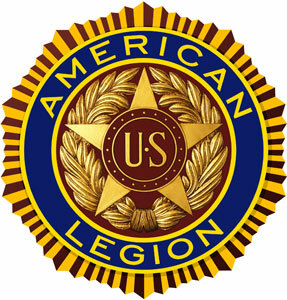 The American Legion conducts many major programs. Legion programs that serve to foster a sense of patriotism and service to the community include High School Oratorical Competitions, American Legion Baseball, Boys State/Boys Nation, Scouting Sponsorship, Flag Education, Scholarship Information, School Awards, Junior Shooting Sports and Patriotic Holiday Observances. The Legion's Children and Youth Program strives to strengthen the family unit, maintain well-rounded youth programs, and support other agencies and organizations which serve children and youth. The American Legion does this through a variety of programs, including Child Safety, Drug Abuse Prevention, Teenage Suicide Prevention, Temporary Financial Assistance, and the American Legion Child Welfare Foundation. The National Economic Commission works with Congress, the Department of Labor, and the Office of Personnel Management to develop, implement and evaluate national employment and training programs for Veterans. It monitors Veterans preference in federal employment, the vocational Rehabilitation and Loan Guaranty Services of the Department of Veterans Affairs, and the Veterans programs of the Small Business Administration. The Commission also works closely with The President's Committee on Employment of People with Disabilities and its Committee on Disabled Veterans. The American Legion has national security policies in the areas of Aerospace, Merchant Marine, Defense Civil Preparedness, Law and Order, and Military and Naval Affairs. Policy implementation is accomplished through both legislative action and coordination with the Department of Defense and Military Services. Many Legion Posts, working in conjunction with local law enforcement agencies, have established Junior Law Cadet Programs. These programs serve to introduce school children to law enforcement and to establish cadet camps. The American Legion is an organization of Veterans serving other Veterans, their widows, and their orphans. The Legion was instrumental in the creation of the Veterans Administration, was the originator of the G.I. Bill of Rights, and is constantly working to maintain the rights and benefits earned by Veterans through their service to their country. A couple of the ways in which the Legion works for Veterans are described below. The American Legion maintains a fully staffed office in Washington, DC, to represent our 3 million members in the halls of Congress. This office constantly monitors all legislation which concerns Veterans and their families.